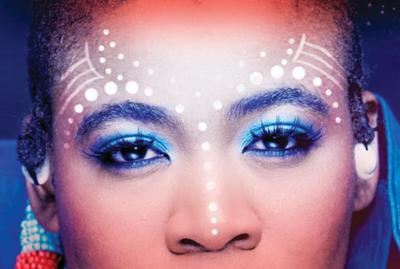 The Annual Mzansi Fela Festival will once again take place at the SA State Theatre. This fun, exciting and entertaining arts extravaganza event of the year is getting bigger and better. Since its inception in 2007, the festival is regarded as the training ground for upcoming artists as well as a platform for established artists. Mzansi Fela Festival is getting stronger every year and is testimony... to the festive spirit of Tshwane. The festival features music, dance, theatre, poetry and comedy performed only by local artists. The two week long festival will kick off on 1 December with a march from the Union Buildings to the State Theatre where the official opening will take place with various free performances at Lillian Ngoyi Square. DJ Cleo will be spin the discs until late. The Parlotones will take on the Opera stage on 2 December, followed by Thandiswa Mazwai on 3 December and Lira on 9 and 10 December. Comedians such as Kedibone Molaudzi, Donovan Goliath, Roni Modimola, Justice Kubheka, Jacques Barrett (Australia) and Carl Joshua Ncube (Zimbabwe) will take on the Drama stage on 1 December, followed by Judith Sephuma and Mathapelo on Jazz on Sunday, 4 December. Theatre lovers will be able to watch productions such as Money Maker, by Julian Seleke-Mokoto, Love at First Fight presented by Follow Spot Productions, Lime Lights on Rites, presented by Ntsoana Contemporary Dance and Rhetorical, directed by The State Theatre’s Resident Director, Mpumelelo Paul Grootboom. Theate performances will take place between 2 and 12 December. Moving Into Dance Mophatong will present a four dance piece on Inception, Silent Departure, Inside and Fractured 2 from 9 to 11 December. Rock bands will include the likes of Outside The New, Son of 1000, The Christian Heath Band, NeVaMe and Chiba Fly, on 9 December. On 8 December, Kgafela Oa Magogodi, Lefifi Tladi, Natalia Molebatsi and Afurukan will present poetry. Hip Hop lovers will be entertained by Black Coffee on 9 December. Community Theatre groups will also showcase their works during the day from 2 to 9 December. The festival ends on 12 December, 2011.